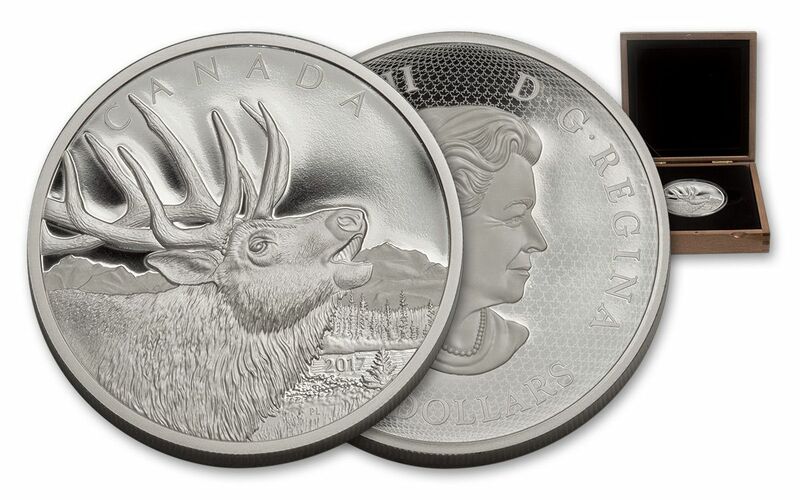 The fourth release in the Royal Canadian Mint’s popular Call of the Wild series, this majestic Elk Proof comes struck in 500 grams of 99.99% fine silver and boasts a legal-tender value of $125 Canadian. Simply put -- this coin is enormous! With a massive diameter of 85 mm, it has detail that requires no effort to examine up-close. 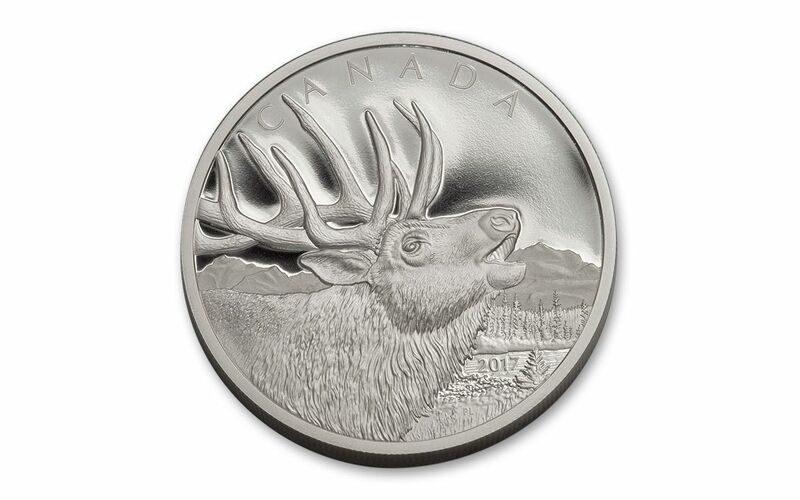 The design features Cervus canadensis, the second-largest member of the deer family, in beautiful relief as it lifts its head to the sky to let out a high-pitched cry before the beautiful Canadian wilderness. 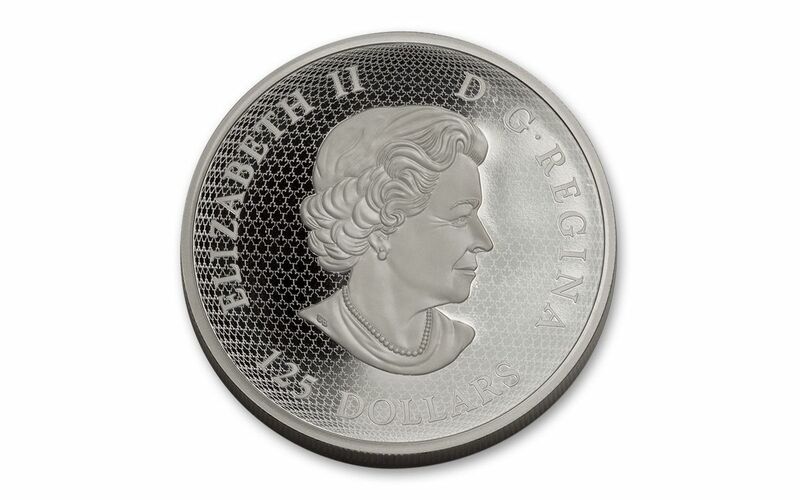 The obverse features the traditional portrait of Her Majesty Queen Elizabeth II. Struck in proof condition, the field of the coin shines with a mirror-like brilliance while the design is given a frosty appearance. 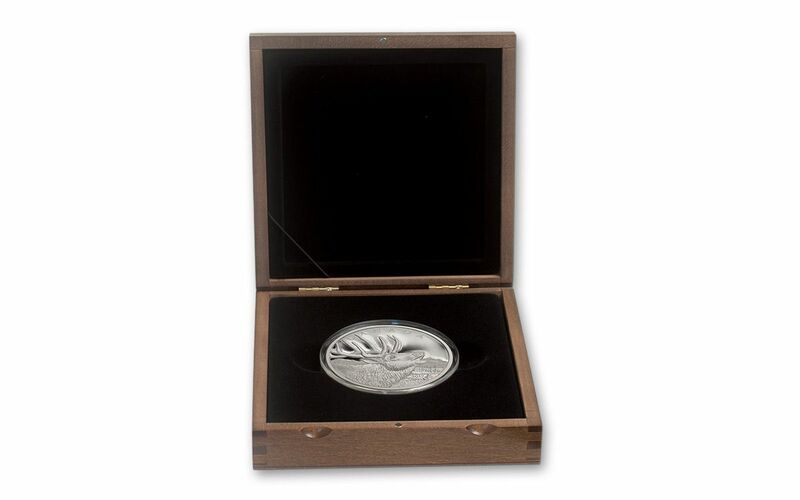 Only 650 of these huge Half-Kilo Silver Elk Proofs were struck, so be sure to order one for your collection today!